iOSnoops is constantly on the lookout for great deals, and here are 43 iPhone and iPad apps that have just been discounted. 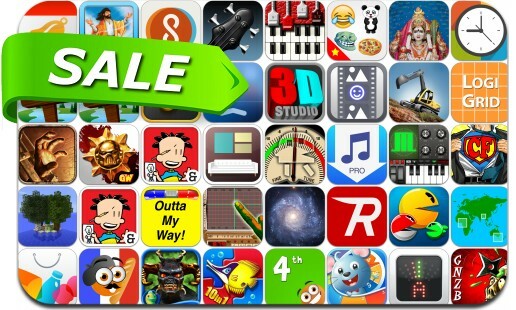 This app deal alert includes Hellraid: The Escape, Warhammer 40,000: Carnage, Machine World, RailBandit, LogiGrid, Magellan Jr, Free Music Download Pro, Buy Me a Pie!, Mystery of the Ancients: Lockwood Manor, Ghost Ninja: Zombie Beatdown and many others. 1ST Ultimate Guide for Minecraft!